From the eyes of Larry Belsky, P.C. After World War II it was impossible for a Jewish person to join a Yacht Club in the Boston area. After being discriminated against, Isadore Bromfield, in early 1946, interested a group of thirty-six men who met at the Smith House in Cambridge to organize their own club, which would be open to all boatsmen. Thirty-five of those present made contributions in excess of $2,000.00 each and the Metropolitan Yacht Club was born. It was chartered in the Commonwealth of Massachusetts on March 17, 1947. Led by Izzie Bromfield, who has been remembered as the father of MYC, monies were raised and yacht club sites were sought. MYC was almost founded on the Pleasure Bay side of Castle Island in South Boston, but strong ethnic pressure was applied by the locals and despite appeals to Washington, D.C. and even a visit by Izzy with high ranking members of the legislature, the Pleasure Bay site was abandoned. The group looked everywhere from Marblehead to Nantasket. They looked at Lawley’s Shipyard in Hingham, Densmore’s Shipyard in Dorchester, a wharf inside Reserved Channel, a place on the Neponset River. Izzy bought a barge and had it towed to One Mile Road in Dorchester Bay and then towed it inside the bay to the place where the Dorchester Yacht Club is now, and finally the barge was towed to Goodhue’s Shipyard in East Braintree, which is our present location. Mr. Goodhue sold his boatyard to Izzy Bromfield who personally borrowed the money for the club. Banks wanted no part of the yacht club mortgage, so twenty-nine of our founding members personally guaranteed the loan. Of course, everybody has been repaid, but the dedication and foresight of these charter members was necessary in order for the club to possess a boating facility. Goodhue’s was a shipyard with a pier, a barge for a dock, a decrepit looking building, a marine railway, and a typically messy repair yard, which had to be, transformed into some kind of yacht club -what a challenge! The first project was to make a main clubroom, which was set up with ship like portholes. Then the machine shop and adjacent rooms were cleared out and a dance floor and hall built. Hours of work tearing down, building, painting, etc., were spent by the members who worked Saturdays, Sundays, holidays and some evenings during the week. Next came improvements to the yachting facilities. The pier was strengthened, the area immediately in front of the club was dredged, and a bulkhead on the riverside of the club property was installed. The yard had been filled with enormous boulders and “deadmen” were installed to support the wooden bulkhead (which is under the cabanas). The main flow of the river curved right up to this bulkhead. During all these formative years, the club was run very loosely with an ever challenging group of by-laws, but this was changed in 1955 when our first permanent set of by-laws was written, adopted, and published. Our club burgee was also adopted in the early years and it was registered with Lloyds. The burgee mainly consists of the semaphore code for the letter “M”. 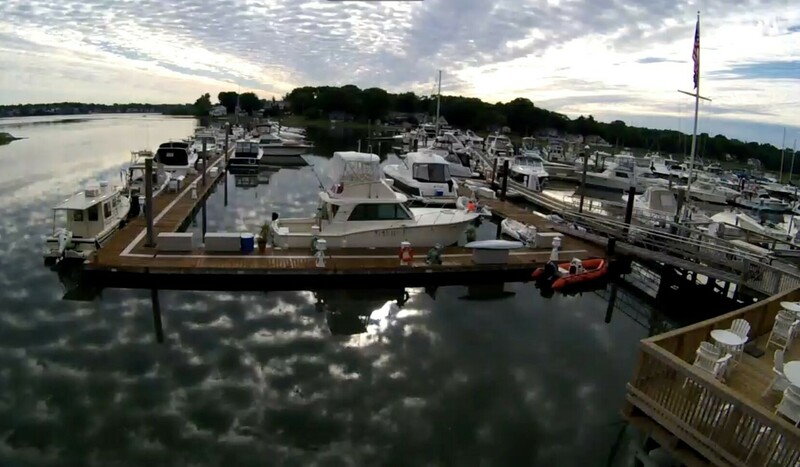 The next several decades saw numerous improvements to the club, including a new travel lift pier and lift, dredging to a 6' minimum depth, all new pressure treated docks, a new club room and much more. 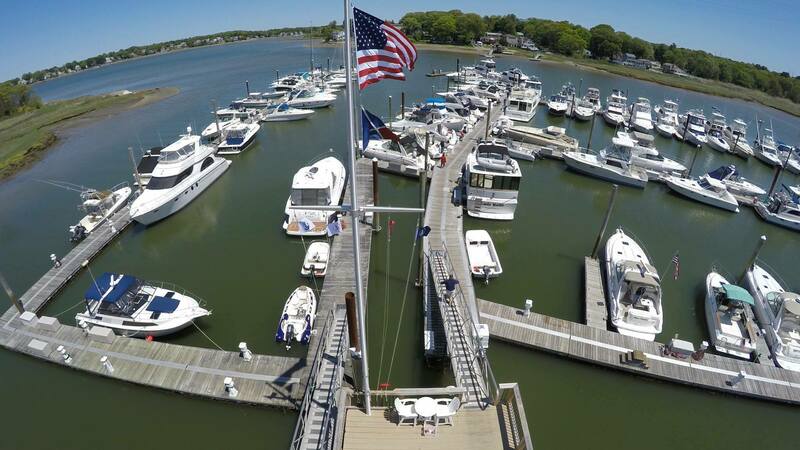 So here we are today - one of the finest boating facilities in the Northeast: sheltered, full floating docks, electricity and water at every ship, telephones and cable TV available, a beautiful clubhouse, swimming pool, storage units, new travel lift, gasoline for our members and general public, and a completely dredged basin. We are proud members of the Quincy Bay and Mass Bay and the Coast Guard Auxiliary Flotilla. Full facilities for every type of activity - let’s be thankful for the efforts of our devoted earlier members who put so much of their personal time and labor into making the club great. Let us continue the tradition now and in the years ahead.